I’d love to know of similar opportunities elsewhere. Please send and I promise to shout them out! The International Indigenous Artists Program (IIAP) exemplifies the vision of the 2014 Games, to “Raise the Bar” for Indigenous sport and cultural sustainability, towards a new level of participation, performance and pride. The IIAP allows for youth to explore their creative development through a meaningful interactive and collaborative experience with internationally recognized multidisciplinary Indigenous artists. IIAP is committed to artistic excellence, gender equity, recognition of Canada’s official languages, and the inclusion of visible minorities representing the diverse cultures of North America. The main components of this project include the opportunity for a cross-disciplinary collaboration between senior experienced artists, emerging artists and the youth who will be participating in the program. There will be two extended residencies for the senior artists (May 18-30 and June 29-July 26). 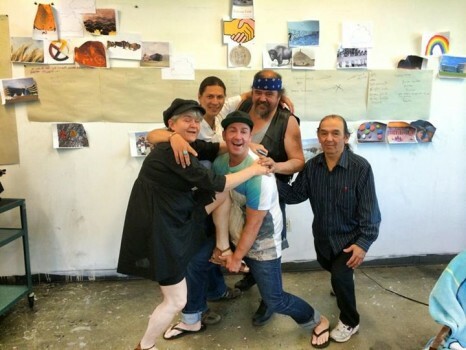 The emerging artists will be invited to participate during the June 29-July 26 residency, and the youth delegates will participate during the week of the Games, July 20-26 in studios at the Fine Arts Department at the University of Regina. The Regina 2014 NAIG has entered into a partnership with Sakêwêwak First Nations Artist Collective to deliver this program and administer the residency. The final IIAP Production will be presented during the Closing Ceremonies on Saturday, July 26th at the Cultural Village main stage, located at the First Nations University of Canada! Cheryl has performed nationally and internationally since the early 80′s in a variety of bands and musical ensembles from punk to art rock, alternative, blues, folk-roots, world music and choral ensembles. 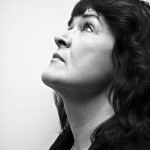 Her various artistic activities have also had her creating and presenting in the national artist-run gallery networks as well as new media labs/centres, community organizations, educational institutions (from grade schools to universities), the women’s prison system and First Nations bands and tribal councils. She has been invited to sing for many notables including Prince Charles, Governor General of Canada Michaelle Jean and billionaire Michael Lee Chin. In both 2005 and 2006, L’Hirondelle was the recipient of the imagineNATIVE New Media Award for her online net.art projects: treatycard, 17:TELL and wêpinâsowina. In 2004, L’Hirondelle was the first Aboriginal artist from Canada to be invited to present her work at DAK’ART Lab, as part of the 6th Edition of the Dakar Biennale for Contemporary African Art, Dakar, Senegal. She is currently working as an artist in residence in London, UK. Cheryl was chosen to lead this project because of her connection to Saskatchewan, her leadership in the arts community, and her ability to integrate dance, music and new media disciplines into her work. Currently residing in Regina, Ramses was born in San Salvador, El Salvador. His music career began at the age of 11, playing the marimba and performing in recitals. He has been living and performing in Canada since 2000. Having studied in the tradition of Agustin Barrios Mangore, Ramses incorporates traditional instruments and rhythms into his music and compositions. The result of his creation process is a unique fusion of classical, traditional and popular music that reflects the richness of humanity. 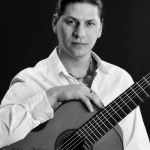 Ramses’ interest in global culture has also driven him to work on numerous multidisciplinary collaborative projects with a variety of artists including: Duo Cofradía (musicians – Cuba), Dr. Igor De Gandarias (composer & musicologist – Guatemala), Luis Enrique Mejía Godoy (singer- & songwriter – Nicaragua), Los Guaraguao (singer & songwriters – Venezuela), David McIntyre (composer & pianist – Canada), Eduard Minevich (Concert Master, Regina Symphony Orchestra – Canada), Dr. Pauline Minevich (musicologist & clarinetist – Canada), Edward Poitras (artist – Canada), Robin Poitras (dancer – Canada), Michelle Sereda (performance artist – Canada), David Sereda (singer & songwriter – Canada), Sarah Abbott and Ann Veral (filmmakers – Canada) and David West (guitarist & composer – Canada). Ramses was asked to participate in this program because he has a history of working with First Nations musicians and on reserve youth. The biggest challenge of this project is the “unknown” factor that the participating youth will bring to the table, and Ramses has the experience of getting young people engaged and actively participating in the creative process. Cree Métis Visual Artist Jason Baerg graduated from Concordia University with a BA in Fine Arts (Drawing and Painting) and subsequently completed Graduate Studies in New Media from George Brown College. Formally he pushes new boundaries in digital interventions in drawing, painting and installation. Baerg has presented at such international art events as the Luminato Festival, the Toronto International Art Fair, and Art Basel Miami. Jason Baerg has given formal artist talks at such institutions as the Royal Melbourne Institute of Technology, New York City’s Parsons School of Design and the University of Toronto. In 2008, Jason Baerg won the Emerging Artist Award for the Premier’s Awards for Excellence in the Arts, granted on behalf of the Ontario Ministry of Culture. He has sat on numerous art juries and won awards through such facilitators as the Canada Council for the Arts, the Ontario Arts Council and The Toronto Arts Council. Dedicated to community development, Jason Baerg recently completed an Aboriginal outreach curatorial project at the new Judith and Norman Alix Art Gallery in his birthplace of Sarnia, Ontario. He is currently working in Saskatchewan. Jason was asked to participate in this project because of his strong connection to youth and his exploration of identity as a Metis and Cree person. 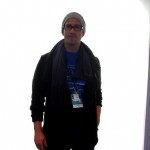 He has experience working with young adults and brings a strong visual art presence to this project. Lyndon Tootoosis (Battle River Cree) is visual artist, carver and a member of Poundmaker’s First Nation. Lyndon discovered his passion and talent for art as an adult while taking classes for his high school diploma. When an art teacher gave Lyndon a piece of soapstone to carve, he remembered what the old people had told him many years ago, that “when you work with something from Mother Earth, pray, smudge, see goodness.” So before he began his very first carving, he went outside to place a tobacco offering and to pray. From that moment on, Lyndon has continued his work as a carver and sculptor. He has also integrated his traditional teachings, and his cultural and spiritual practices into whatever he does. He says that he has, “used the arts as a vehicle to drive change, not only for myself, but others as well.” He teaches traditional games of the Battle River Cree to children and adults, demonstrating methods used to prepare youth for their future. He finds this cross-cultural work very rewarding. The aboriginal participants experience something positive from their past and some for the first time. The non-aboriginal participants see cultural practices that are not typically in any history books. Lyndon also advocates for Aboriginal artists in the province of Saskatchewan by participating on committees, panel discussions and as a board member for the Saskatchewan Arts Board and cultural liaison for the Allen Sapp Gallery in North Battleford, Saskatchewan.